What Was The First Cpu You Ever Purchased? | Page 4 | Team OS : Your Only Destination To Custom OS !! What Was The First Cpu You Ever Purchased? my first Cpu is p4 3.0ghz 160gb IDE Hard and Ram DDR 1 1gb And you can't believe people says you have an beast and also says you don't need 160gb hard its too high capacity 40gb was fine for you and now 4tb isn't enough and full. Oh my god. I'm so old. My first computer wac an ORIC ATMOS. Times have change so much over the years from 90's and early 80's.. 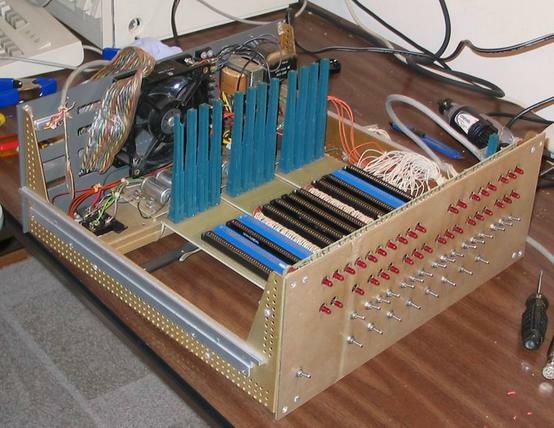 The CPC 464 was powered by the Zilog Z80 processor. The Z80 ran at 4 MHz, had 64K of memory and ran AMSDOS, Amstrad's own OS. The unit included a built in tape drive and the choice of a green or colour monitor. I don't know.. I was around 16-17 years old by then.. I had been a mainframe hacker for a number of years prior to buying my first processor. I did not want to buy one of the early under-powered home computers. Instead I waited until processors got up to 1000MHz. It was a tough choice between AMD and Intel, but in the end I went with the Pentium 3 1000 coppermine because I liked socket 370. It was great, but I probably should have gone with the Athlon for better performance. Pentium 4. It was still working until RAM gave up 2 years ago. Local stores no longer have RAM of that kind/type. It's been obsolete for quite some time. Shame... I still have a working P4 2.8GHz in an old desktop with 2 gigs ram. It still runs like a champ. Back in about 1974, ( 40 some years ago )my friend and I put our money together and bought the Altair 8800. Basically a box full of parts that included everything in one kit - the assembly instructions, metal case, power supply, and all of the boards and components required to build it. After many days and nights of careful soldering and assembly you hopefully had a working computer.... It used Intel's 8080 CPU ---- The 8080 was an extended and enhanced variant of the earlier 8008 design, although without binary compatibility. The clock frequency limit was 2 MHz. We had to flip switches on the front panel, writing our own programs in Machine Language ( YUK!! ) , and watching the LED's on the front panel light up in response to our commands. My first real computer IBM PS1 286 possessor. 256 ram, upgraded to 1 mg ram. 30 mb hard drive. Oh right ... sorry mate. Intel Core 2 Duo E6850 3.0 GHz which i bought in 2007 with my Asus P5Q SE2 which I still, starting to feel games now for the first time.